Vintage Tub & Bath’s clawfoot tubs look fantastic, but what can be done to make them even better? Adding a perfectly matched faucet, of course! 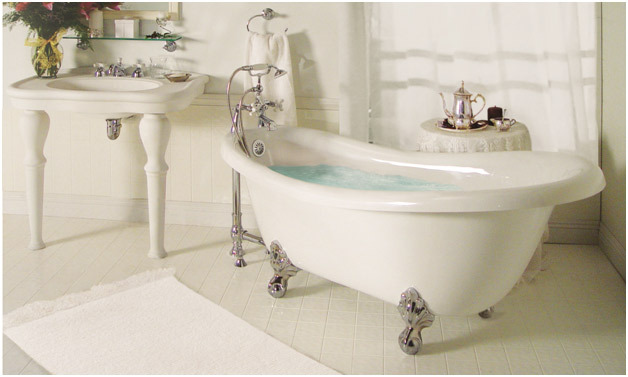 With a variety of styles to choose from, you can create the ideal aesthetics for your bathroom. First, you want to consider how you wish to have the faucet mounted. Another key decision is what type of faucet style you prefer. Styles range from gooseneck to handshower, just to name a few. Personal tastes and convenience when designing your tub and faucet combination will determine what mounting and faucet style you choose. Once you have your dream bathroom in mind, the only thing left to envision is how relaxed you’ll be in your new amazing clawfoot tub complete with the perfect faucet!